Dragos Manolescu is a software architect with ThoughtWorks, Inc., where he works on architecture evaluation and enterprise integration projects. 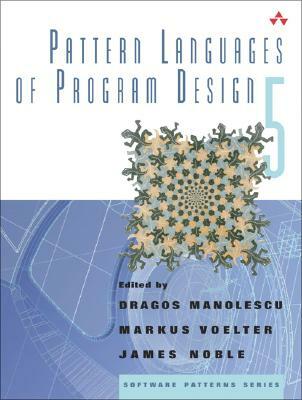 Involved with the patterns community since 1996, Dragos chaired the PLoP 1999 conference, contributed to Pattern Languages of Program Design 4 (Addison-Wesley, 2000), and coauthored Integration Patterns (Microsoft Press, 2004). Markus Voelter is a consultant and coach for software technology and engineering. Markus focuses on software architecture, middleware, and model-driven software development. He is the author of several patterns, the coauthor of Server Component Patterns and Remoting Patterns (both Wiley Patterns Series), and a regular speaker at conferences worldwide. James Noble is professor of computer science and software engineering at Victoria University in Wellington, New Zealand, where he researches object-oriented approaches to user and programmer interface design. He is the coauthor of Small Memory Software: Patterns for Systems with Limited Memory (Addison-Wesley, 2001).